The Big 12 was down in 2016. Only four teams posted a winning conference record with Oklahoma running away with the Big 12 title. There are a lot of questions facing the Big 12 in 2017. Matt Rhule takes over at Baylor, Tom Herman takes the reigns at Texas and Lincoln Riley is the new captain at Oklahoma. Those three schools have been among the best in the Big 12 and all have significant changes heading into this season. Is the Big 12 in for a rebound this year or will they have another forgettable year like they did in 2016? Kingsbury was supposed to be the answer for the Red Raiders but after four seasons, we are left with more questions than answers. In his fourth season as head coach, Texas Tech went 5-7 overall and just 3-6 in the conference. Kingsbury has not been able to figure out the defensive side of the game and David Gibbs returns as DC after having the worst defensive in the conference in 2016. 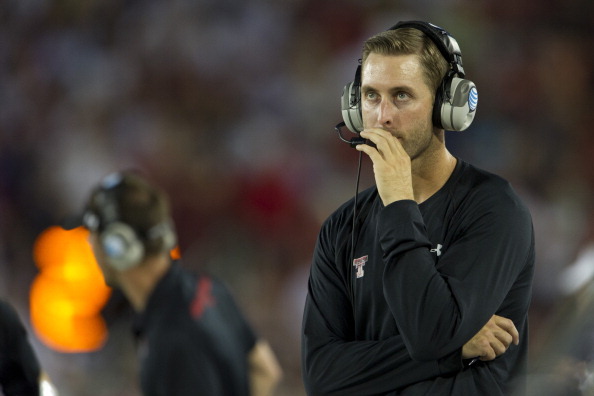 The honeymoon is over for Kingsbury and he must deliver better results this year. The Mountaineers were one of the surprise teams of the Big 12 in 2016. One of the reasons for their success was that they had a very veteran team. In games that were decided by less than 10 points, they went 4-0. The bad news for the Mountaineers is that this year they are the least experienced team in the conference. Look for West Virginia to have some growing pains in 2017. 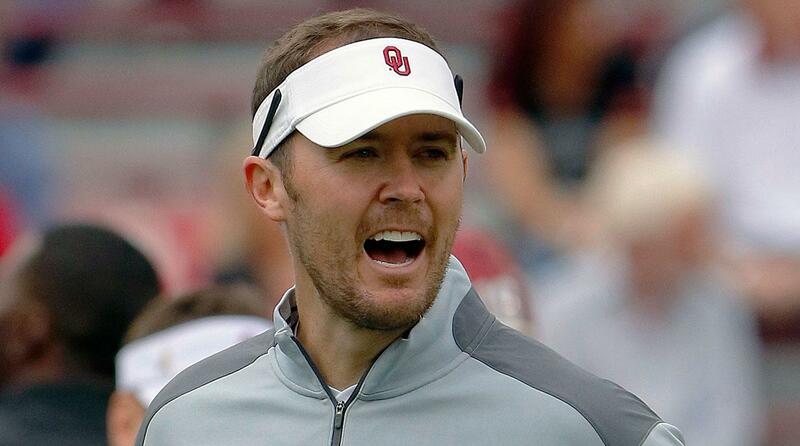 At just 33 years old, Lincoln Riley steps up into a premier spot as the head coach of the Oklahoma Sooners. The unexpected retirement of Bob Stoops has opened up an amazing opportunity for Riley. The Sooners are expected to win the Big 12. They have the most talent and they have it in the right places. Riley has stepped into a great spot for his first head coaching gig. In his 16 years at TCU, Gary Patterson has never had back-to-back losing seasons. The Horned Frogs have a ton of experience and they will bounce back this year. Expect them to score some big wins and, at worst, they will be one of the top four teams in the conference. I think Charlie Strong is a good coach, but he was just a bad fit for Texas. 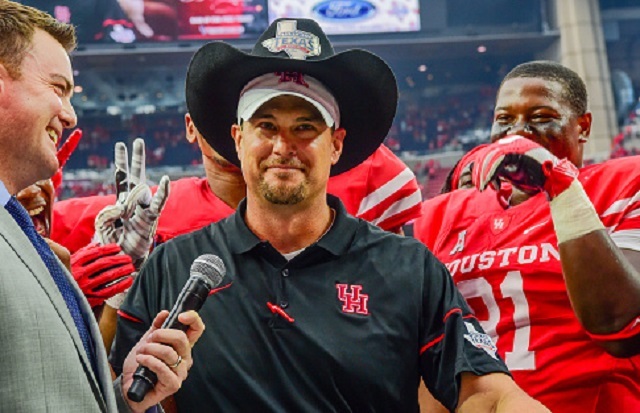 Tom Herman is a great fit for Texas and they will see an immediate upswing this season due to his hire. The Longhorns won’t win the conference in 2017, but expect them to make some noise and, like TCU, finish in the top four of the conference. Oklahoma State and Rudolph are flying under the radar. In 2016, Rudolph threw for over 4,000 yards and had 28 TD against just 4 INT. With the coaching change at OU and the doubt that surrounds programs like Baylor and Texas, the Cowboys and Rudolph have a huge chance to shine in 2017. Rudolph is not being over-hyped for a Heisman run but if the Cowboys can take care of business in the conference, you might start to hear his name being whispered for some of the most prestigious awards in the land.